First off, I tried my best to draw an outline around the Kul Tiras map featured on the datamined armor set. 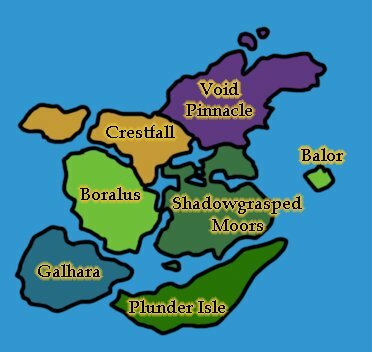 The result, pictured below, seemed intricate enough to create a continent with different zones out of it. I wanted to call it The Shadow over Kul Tiras but it just didn’t sound like an expansion name. Following the defeat of the Burning Legion, the Alliance and Horde have turned their attentions to domestic matters. Warchief Sylvanas works to cement her leadership over the Horde, while the Alliance deals with with split attitudes on whether or not the Horde’s recent activities warrant a military response. The tension is broken when giant waves batter the shores of the Eastern Kingdoms and Kalimdor. With theses tides come ships. Refugees from the island nation of Kul Tiras accompanied by a group of ethereals arrive at Stormwind, while a tribe of naga surrender to the Horde at Orgrimmar. 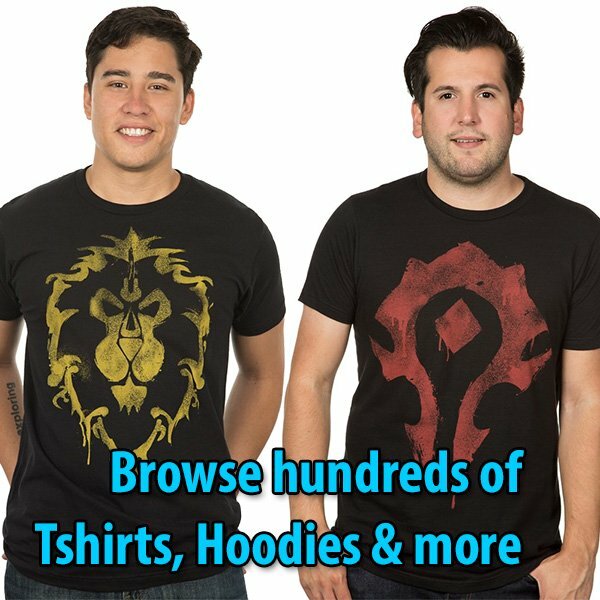 Both groups come with a dire warning: the island has been engulfed by a dark presence that will soon spill out onto the rest of Azeroth. Brave heroes are called forth to venture to Kul Tiras and investigate these claims. What they find is an island on the brink of catastrophe. Queen Azshara’s armies engulf the island while Nazjatar, raised from the seafloor, dominates the horizon. Madness has engulfed many of the surviving Tirasians and void corruption emanates from the northern mountains. A shadow has fallen over Kul Tiras, and it is only the beginning of the terror to come. In other words, it’s a naga/Old Gods kind of Lovecraft-ish expansion. Crazed cultists, monsters from the deep, ethereals and the Void, shrouded moorlands, and also lots of pirates. Nazjatar looms as the Icecrown Citadel/Tomb of Sargeras of the expansion, always visible on the horizon but this time not actually accessible until the final patch. –K’aresh (Ethereal Starting Zone): Ethereals of the Protectorate fight an endless war against the Void on a small remnant of their homeworld, K’aresh. A routine scouting mission against the Void-worshiping Ethereum reveals far more than the Protectorate could ever have anticipated: a gateway to Kul Tiras and a plot to engulf Azeroth in shadows. Seeking allies who know the land, the Protectorate forges a tenuous pact with the Alliance. –Scintal Reef (Naga Starting Zone): Not all naga are loyal to Queen Azshara. Some live only for themselves or disapprove of Azshara’s Old God allies. Many of these dissidents make their home on Scintal Reef, an atoll filled with pristine beaches and beautiful lagoons. Their peace is shattered when Azshara’s forces arrive to conscript the naga here for an invasion of Kul Tiras. While outnumbered on their own, a shipwrecked Horde expedition may prove the naga’s salvation. –Shadowgrasped Moors: While most of Kul Tiras was spared the scourge plague, a single shipment of contaminated grain made it to the harbor-town Drisburg. The undead outbreak was contained, but the surrounding land never fully recovered. Now the dead rise once again as void energies seep into the land from the north. –Crestfall: Consisting of an autumnal forest and its namesake, Crestfall Isle, this region is the most untamed portion of Kul Tiras. Small hunting towns are the only civilization here, while great beasts and bestial races like wendigo call the depths of the forest home. –Galhara: An ancient night elven city destroyed by the Sundering, now one of the naga’s largest territories outside of Nazjatar itself. Kul Tiras collided with Galhara during the Cataclysm, and the naga entrenched here have prevented Kul Tiras’ ships from leaving for the outside world ever since. –Void Pinnacle: The northernmost mountains of Kul Tiras have long been the subject of fear and superstition. Legend says that in prehistoric times, an Old God worshiping cult used a cursed dagger to tear a hole between reality and the Void at the peak of the mountain. In recent months, a contingent of etherals arrived and darkness enshrouded the region shortly after. Black holes, void monstrosities and corrupted wildlife have poured forth ever since. –Balor (World PVP Zone): An island fortress that was destroyed by the Horde during the First War. Old rivalries stirred up by recent actions from Jaina Proudmoore and Sylvanas Windrunner have turned the island into a battleground once again. –Temple of the Drowned God: After years of chaos following the Cataclysm and the naga invasion, many of Kul Tiras’ citizens have turned away from the light and fallen to madness. Their desperation has made them easy converts to the worship of N’Zoth, now calling themselves the Cult of the Drowned God. Built into a system of caves beneath Boralus, the Temple provides the cult a place to practice dark rituals and commune with their Old God master. –Boralus Sewers: Boralus City has held off Azshara’s forces until now. A cunning naga general has breached the sewers and readies for an assault on the city from below. –Bloodsail Hold: In a hidden bay on Plunder Isle, the Bloodsail Armada docks to return the treasures gathered in their latest attacks. This would prove an opportune time to seize back the plundered booty and put an end to Duke Falrever. –Spitewash Fortress: The Spitewash naga’s stronghold in Galhara. Capturing the fortress could break the naga’s hold on Kul Tiras, allowing more support from the Alliance and Horde to arrive. Capturing it however, is easier said than done. –Crestfall Cistern: Once a large underground reservoir of fresh water, the cistern was abandoned following reports of half-man half-sea creature monsters emerging from the depths. –Siege of Drisburg: Abandoned after falling victim to the scourge in the Third War, the city of Drisburg has become the Horde’s capital in Kul Tiras. Alliance forces lead by Jaina Proudmoore seek the drive the Horde out of Kul Tiras even given the current circumstances. This dungeon is different for Horde and Alliance players, with the Horde fighting against the siege and the Alliance using it to attack the city’s leadership. –Grand Admirals’ Rest: Former Grand Admirals of Kul Tiras are traditionally buried in this expansive mausoleum including its most recent, Daelin Proudmoore. Void energies have reanimated the dead within, who now see all living as invaders their kingdom must be defended from. –The Etherforge: In the caverns of the Void Pinnacle’s largest mountain, Voidcaller Peak, the Ethereum works to uncover the dark history behind this region of Kul Tiras, and weaponize whatever they find. –Voidcaller Peak: Legend says this is where an ancient cult performed a ritual which tore a hole between reality and the Void. The Ethereum has strengthened this gateway, bringing in an endless stream of reinforcements and Void aberrations to further the corruption of Azeroth. –Ageon: A mysterious titan vault on the outskirts of Galhara. Sea giants and mermen guard the entrance day and night, while the naga ceaselessly attempt to breach it. Whatever lies within, it can’t be allowed to fall into Azshara’s hands. –Proudmoore Keep: At the heart of Boralus City lies the keep from where the Grand Admiral would rule Kul Tiras, now under the control of Jaina Proudmoore. Rumors persist that the leadership has been infiltrated by the Cult of the Drowned God, while Sylvanas has ordered a retaliatory strike against the Keep for Jaina’s attack on Drisburg. No matter the raid group’s reason for entering, they will uncover a secret which will forever change the Alliance and Horde. –X.1, Forsaken: The fallout from Proudmoore Keep has raised tensions between the Horde and the Alliance to the breaking point. New quests are added across Kul Tiras as all out war becomes more likely, and a new battleground, as well as a dungeon and small raid in the Undercity are added. –X.2, Vengeance of the Void: The Ethereum’s true plan is revealed, to summon an echo of the Void Lord Dimensius to Azeroth and corrupt its nascent world soul. The Protectorate and Consortium rally the heroes of Azeroth to return to K’aresh and defeat the Ethereum before Dimensius can be summoned. K’aresh is added as a new max level zone, along with the next tier raid and a dungeon. –X.3, End of Azshara: The Ethereum is defeated. The Alliance and Horde have reached a tenuous peace. The time has finally come to invade Nazjatar and put an end to Azshara once and for all. Nazjatar is added as a zone, along with the Eternal Palace, the final raid of the expansion. –X.4, The Drowned God: The Cult of the Drowned God has seemingly vanished, until reports of activity surface in the Tomb of Sargeras. In a new dungeon, the heroes of Azeroth venture into the secret titan complex hidden beneath the Tomb and discover the terrible truth behind the Pillars of Creation and N’Zoth, setting up the next expansion: World of Warcraft: The Black Empire. I hope you enjoyed this exercise in theorycrafting. Maybe next time I’ll do The Black Empire should people be interested.